SUSSEX – May 22nd, 2015 – In the wake of last month’s earthquake in Nepal on April 25th, Projects Abroad is calling for volunteers to help with its Disaster Relief project. Projects Abroad has worked in Nepal since 1999 and has long-standing relationships with many organisations in Chitwan, Kathmandu, and Ghandruk, especially with schools, children’s homes, hospitals, and conservation areas. All have been affected. The initial objective of the Disaster Relief project is to focus on the school children affected. 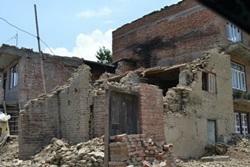 Over 24,000 classrooms have been damaged or destroyed by the earthquake. Our Disaster Relief project will focus on setting up alternative spaces where children can receive education. Volunteers will help to teach and care for the children in these temporary schools. Volunteers will also renovate and build schools, as well as other giving other outreach and childcare support. The Disaster Relief project will begin on June 8th. Work will begin in the Kathmandu Valley, in rural and semi-urban areas that surround the city. The project will expand into other regions as work is completed and participation grows. Volunteers will be accommodated in basic housing, either a guesthouse or a camp ground, as conditions permit. Throughout they will be supported by full-time local Projects Abroad staff. Volunteers can join at any time after June 8th and stay for as long as they choose. The project will run for as long as it is needed.